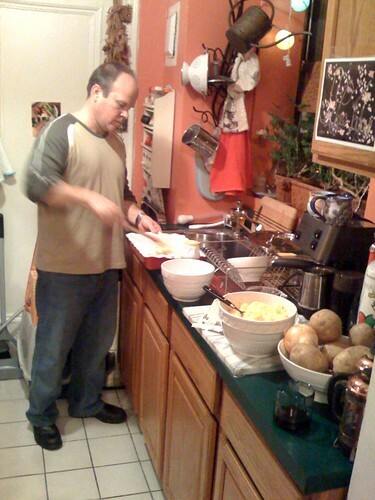 David preparing Shepherds Pie for Comfort Food Party, originally uploaded by KT Flicker. some chocolate chip cookies with the new kitchienaid, what the heck. More pictures to come as we make things and people bring dishes!